Simple and delicious, this take on the classic pizza casserole dish is anything but ordinary. This Quinoa Pizza Casserole is loaded with nutrients and a perfect way to shake up your dinner recipe routine. 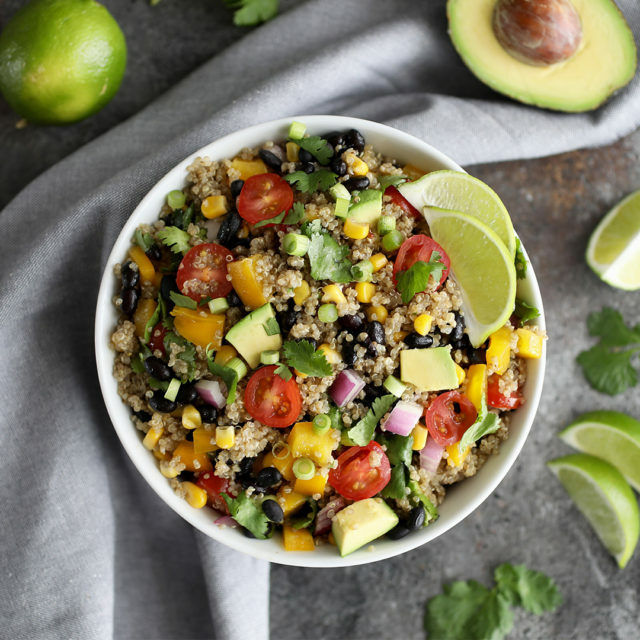 With the addition of Tiny Hero® Golden Quinoa, you’ll get a secret weapon that adds nutrition, boosts flavor, and makes you a true kitchen hero. Don’t blame us if you go back for seconds…and maybe thirds. Boil 4 cups of water. 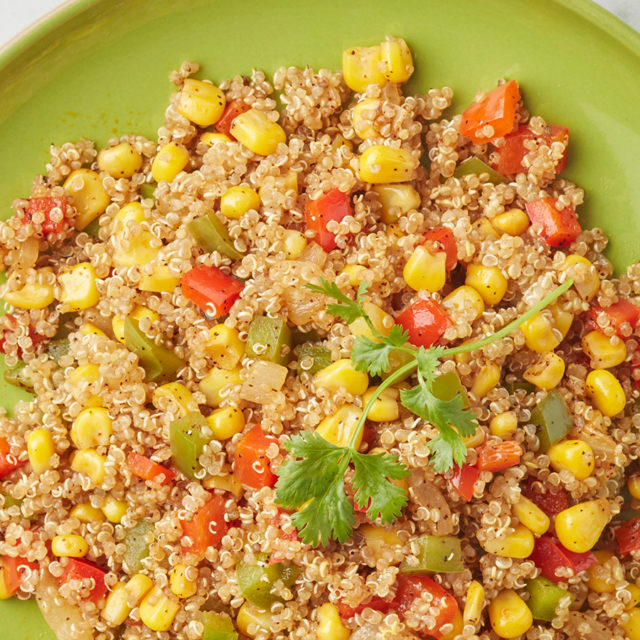 Add Tiny Hero® Golden Quinoa and simmer for 12–15 minutes. Strain using a fine mesh strainer and set aside. Place a large ovenproof skillet over medium-high heat. Add 1 Tbsp. olive oil. When oil just begins to shimmer, add onions and peppers. Sauté for 5-6 minutes, stirring occasionally, until onions starts to soften. Add zucchini and garlic. Continue to cook an additional 7-8 minutes or until veggies are tender. 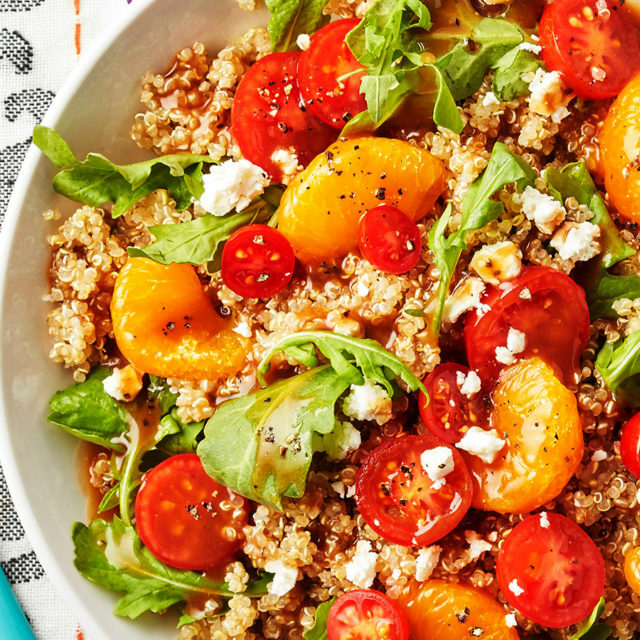 Add quinoa, sauce, pepperoni and ¾ cup mozzarella cheese to the veggies in the skillet, reserving a few pepperoni slices for the top. Sprinkle top of skillet with remaining ¼ cup mozzarella cheese and reserved pepperoni slices.